At the Law Office of Shelly M. Ingram, LLC, clients throughout Maryland find a professional, competent and understanding champion for all their divorce and family law needs. Whether representing individuals in litigation, mediation or collaboration, the firm maintains a strong focus on providing high quality counsel and zealous advocacy. Founding attorney Shelly M. Ingram is experienced in the complexities and nuances of family law cases. As a child of divorce and a divorcée herself, she understands the stress and frustration of custody disputes, property division, alimony concerns and other issues. She provides one-on-one client service and communicates with clients personally. At the same time, she utilizes the same cutting-edge technology found at a much larger firm. Mediation — Shelly is a member of the Maryland Program for Mediator Excellence (MPME). She has completed advanced family law mediation training and works to resolve disputes in a cost-effective manner tailored to the specific needs of her clients. Collaborative law — A member of the International Academy of Collaborative Professionals and the Howard County Collaborative Professionals, Shelly understands what it takes to keep disputes out of court. Litigation — Shelly is also a trial lawyer who is willing to aggressively advocate for her clients' families as if they were her own. She meets the qualifications to serve as court-appointed child counsel by the Maryland Judiciary Administrative Office of the Courts. Located in Fulton, Law Office of Shelly M. Ingram, LLC, serves clients in Howard County, Montgomery County, Frederick County, Anne Arundel County, Prince George’s County, Baltimore County and throughout Maryland. Credit cards are accepted, and alternative meeting locations are available by request. 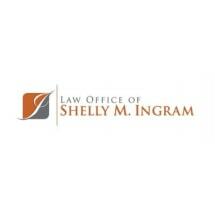 Learn more about attorney Shelly M. Ingram. Get answers to your Frequently Asked Questions (FAQs) about alimony custody, child support, collaborative law, divorce, domestic violence, marital property and mediation in Maryland - courtesy of the Law Office of Shelly M. Ingram, LLC. Words of appreciation from former clients. Contact the firm to schedule an appointment to speak with attorney Shelly M. Ingram.